The small town of Biskarret, located north of Navarre in the Pyrenees and very near the border with France. 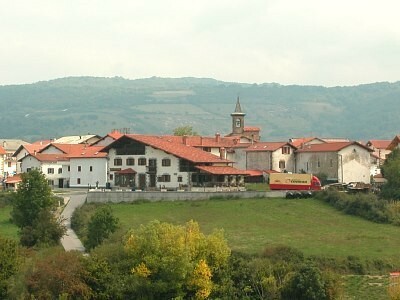 Biskarret appears historically linked to the Camino de Santiago, which was a staging point obliged to walkers, especially until the appearance of the guest house of Roncesvalles. There was also a hospital for pilgrims, which still remains. In its architecture stresses the parish church of San Pedro, belonging to protogótico style of the early thirteenth century. Settlements on a hill 790 metres above sea level, provides an overview Biskarret enviable, a few minutes from the splendid natural Sorogain enclave. Quinto Real is a beautiful beech furrowed by a multitude of races. Atravesado from north to south by the Arga, in this vast forest inhabits a large number of animal species. It houses the ruins of the Royal Arms Factory Eugi and is by itself a fascinating space. Fifth Royal belongs to the valleys of Erro, Baztan, Esteribar and Alduides. Abound therein deer, roe deer and deer and wild boar and foxes. Birds complete the enormous wealth of fauna of this lush forest. Among them the black woodpecker, pito dorsiblanco and fellow, while large raptors like eagles, falcons and abejero scavenging as the vulture or the bearded vulture. 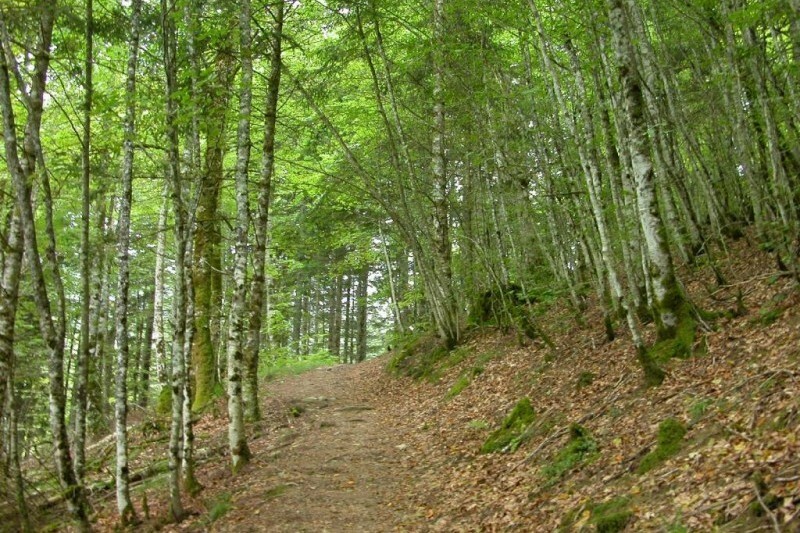 The berrea is, in the autumn, the most important event of the forest. This is the time when the deer are looking for a male to mate with the female so preserve the species. Their chants and Berra, a prelude to the fight for the primacy, spread throughout the forest. From Fifth Royal can be accessed through the port of Baztan Artesiaga, or by Alduides of Urkiaga. 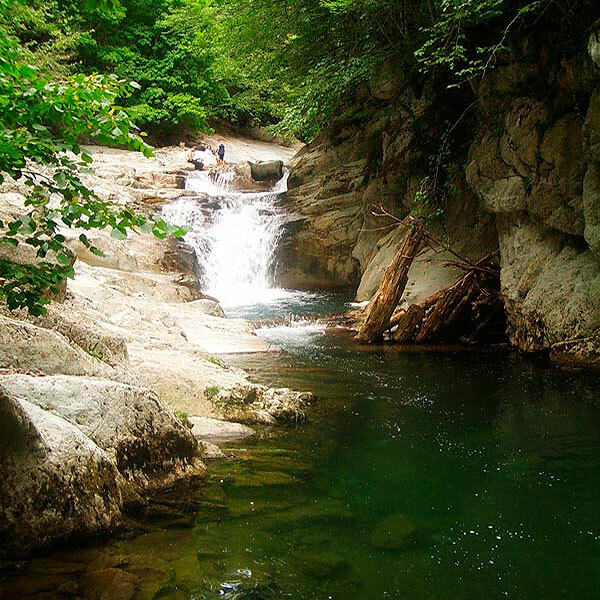 setas en los bosques de SorogainSorogain (Valley Erro) is a splendid environment for relaxation, gentle walks to give or raise any mountain climbing easy. An extensive green carpet surrounded by beeches, oaks and mountain. Sorogain hosts won the valleys and Erro Baigorri contract face, giving rise to a big party on the occasion of marking it. Throughout the area pastures are several stations dolmens, remnants of a past to pastoril prehistory. Sorogain has a recreation area, in an environment of great beauty conditioning with tables, benches and stone grills. Some speak of the discovery of the tomb of the apostle Santiago date for the start of one of the biggest companies in Western culture, the Camino de Santiago. But the road followed a path already traveled before, Finisterre, of the Romans. The discovery of the tomb was a momentous fact that deeply shocked and dazzled the peoples of the medieval West. Since then the Pyrenees Navarre has been forced to move thousands of pilgrims coming from Europe, go to Galicia to honor the apostle. This constant flow of men of all kinds of social status and geographical origin over the centuries was an artistic and cultural enrichment, as well as economic, for the peoples of the road. 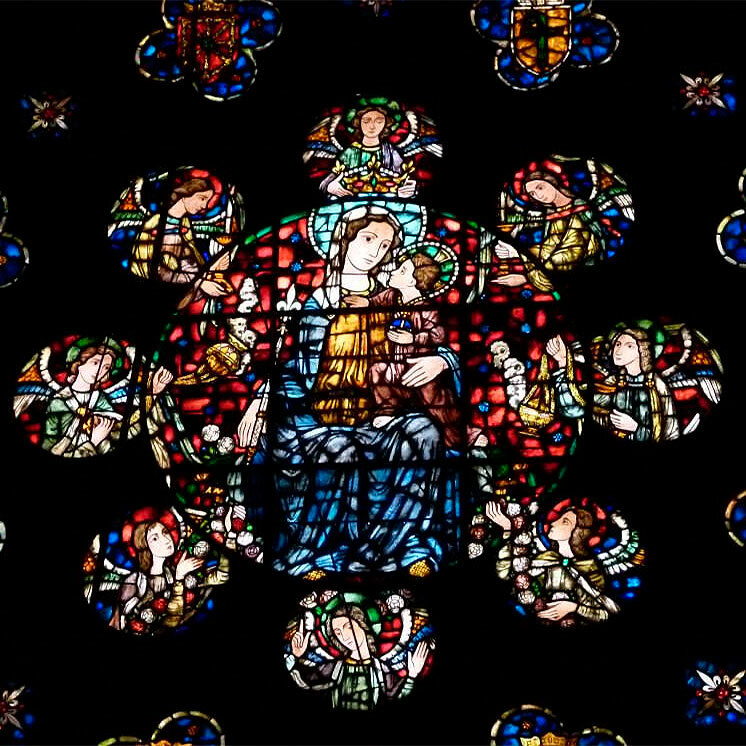 Churches and monasteries, hermitages and hospitals, many of whom remain at the present time, were built along the way and in many of these buildings were involved foreign artists. At attractive cultural and artistic del Camino de Santiago is added to the beauty of natural landscapes through which runs: lush forests of beech, oak or oak, meadows, areas of ferns, mountains and rivers of birth, are a paradise for lovers of nature. -Camino Alto, Napoleon or the Ports Cisa: on the hills of Lepoeder or Bentartea. Follow the route of the ancient Roman road Bordeaux-Astorga, which is still visible in some stretches and that conditioned the communicative structure of this area. -Under Way or gorge: crosses Luzaide-Valcarlos and rises to the valley by Ibañeta. Step natural Pyrenees from ancient times, is an emblematic place of deep resonances epic. Here lies the tradition of the defeat of Charlemagne French army at the hands of the Basques. Roncesvalles forms a large architectural ensemble-religious, secular, domestic-in a beautiful location. 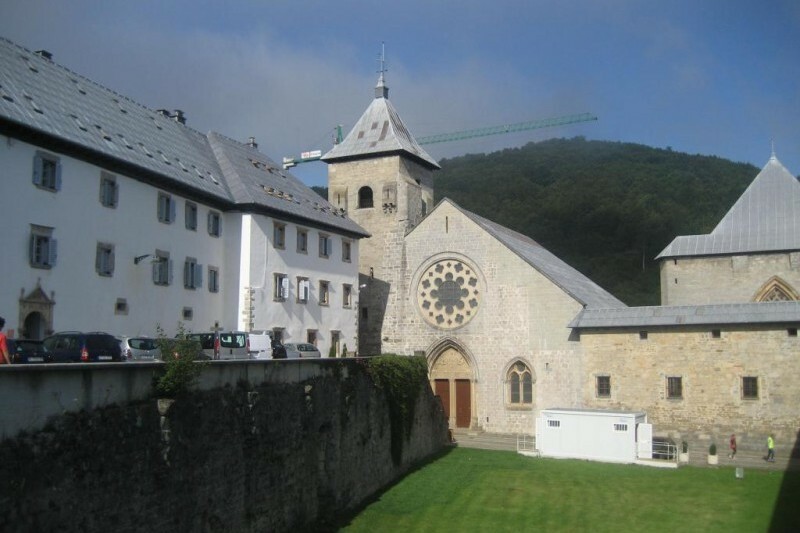 In Roncesvalles was installed and grew and hostelling care center that hosted the pilgrims after the tough ascent of the mountain range and extended their steps towards the ultimate goal, and almost perceptible in their hearts, still distant from the tomb of the apostle. Following the passage of Ultrapuertos, leaving the Pyrenees behind, Roncesvalles means walking the door for the last stretch of road, even though they still remain more than 700 kilometres to the finish. Pilgrims they consider the second main point of the Camino de Santiago, Compostela behind the cathedral because of the strength of this historic and symbolic place. 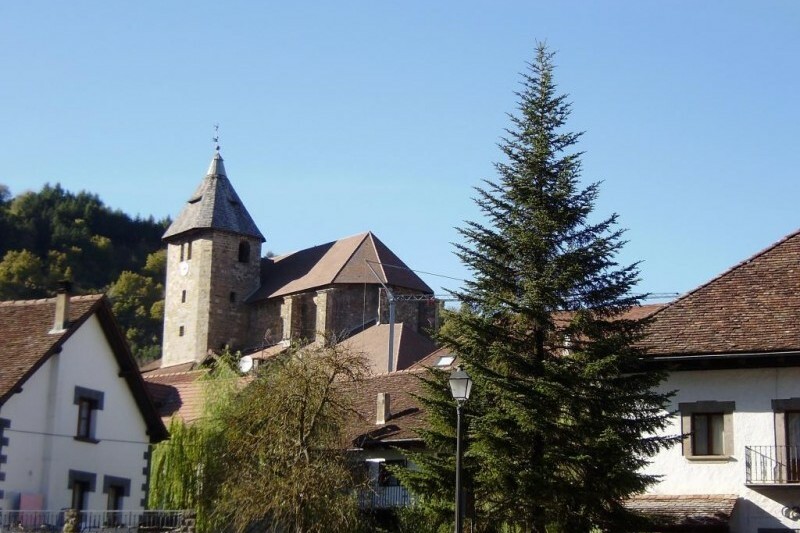 The small and simple Gothic chapel located near the Silo Charlemagne is the only building in Roncesvalles recalls the cult of Santiago. 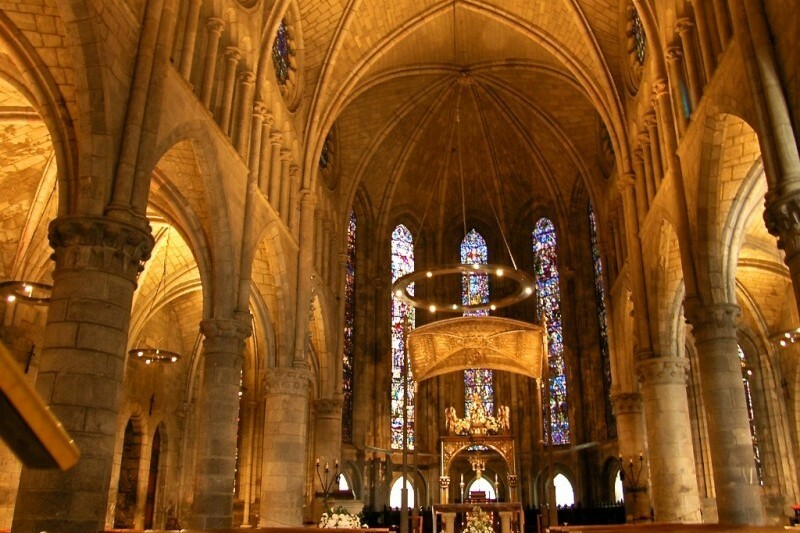 It retains a unique, the bell from the former chapel Ibañeta, which served as a hopeful claim for the pilgrims who stood the north side of the Pyrenees. That's because the pilgrimage to Compostela is next to Carolingian world, the essential argument of Roncesvalles. Extensive territory (17,195 ha) of which 75% is forest. Among the valleys and Aezkoa Salazar (Navarra), Cize (Lower Navarre) and Larrau (Zuberoa). 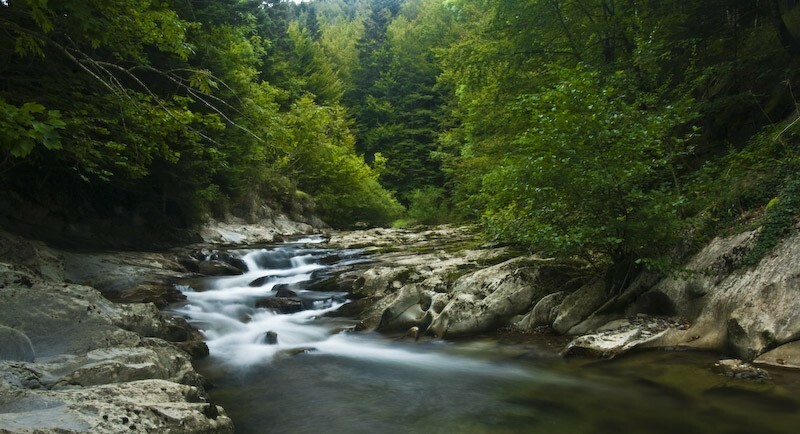 Since ancient times has had a farmer harvesting and forest-hunting. With a great natural and ecological value, is regarded as one of the largest beech-abetales of Europe and is a major natural attraction throughout the year. In addition there is a network of 16 trails signposted. Chosen carefully, walk through them becomes one of the best ways to discover their secrets. In general they are suitable for all ages. 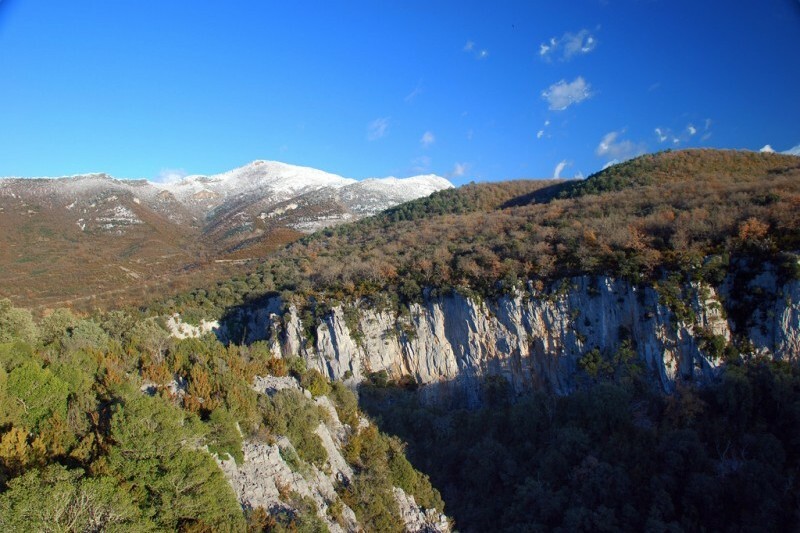 The forest is flanked by two mythical mountains in the region: the Orhi (2019 m) summit emblematic of the Pyrenean mountain climbing and Navarre, first "two thousand" in the Pyrenees, and Ortzanzurieta (1570 m), watchtower, the Irati eastward and the high road to the west of Santiago. 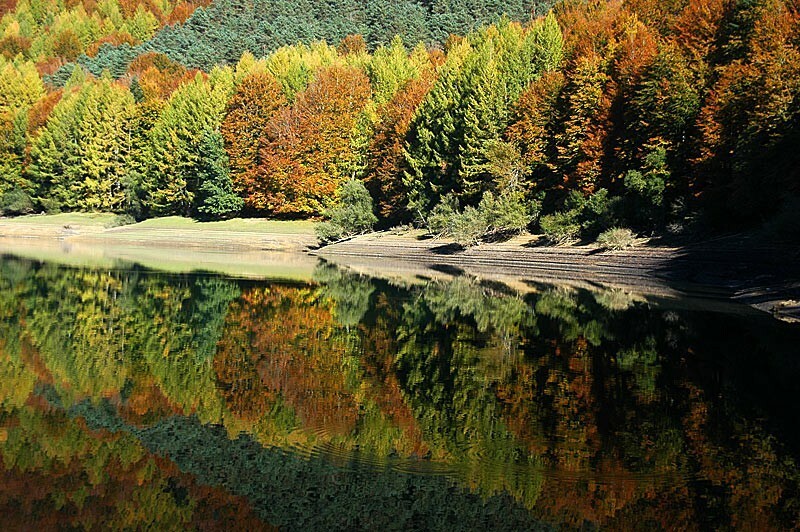 It offers the possibility of carrying out many activities in the forest, into the river, in the Irabia reservoir, etc..
Selva de IratiSince Aezkoa are accessed by Irati Orbaitzeta and since Otsagabia by Salazar. The information offices and tourism and Otsagabia Orreaga / Roncesvalles (all year) and Garralda (season) will help you resolve your concerns. In addition, in high season there are points of information within Irati in Arrazola and V. de las Nieves. Fábrica de armas de OrbaitzetaThe remains of weapons of Orbaizeta, a jewel of industrial archaeology of the XVIII s, are a good excuse to explore an era and a conception of the world. The factory was actually a town, a small town in the Pyrenees of beech Irati. Poseía church and palace in central space and different types of housing in terms of social class. His inspiration Illustrated (S XVIII) resulted in concern for the comfort of workers, which revertía in either production. With more than 50 workers, technicians and skilled operators, the cost of operation and maintenance was enormous, while 3,600 came to manufacture bombs a year. The factory weapons of Orbaitzeta arose when the existing Eugi depleted forests around them. It then sought another place where, sustainably, it could ensure a continuous production to meet demand Corps artillery royal army. The closeness of iron ores traditionally exploited, the abundance of water in streams and nearby wood (Mount Aezkoa was ceded by a pact after it was breached by the Crown) Carlos III encouraged to install the factory where we know it today. Previously cited the existence of Ferrara in Txangoa, north of where today are the ruins of the factory, a term that refers to such activity Ferrero: Olazar. Almost all major wars s. XIX affected greatly to the factory and all peoples of the Valley: the war in the Convention, the Carlist Wars, and so on. HorreoAezkoa owns 15 of the 22 granaries Navarre, all of whom declared a Cultural. This is a very common type of construction in wetlands where the shortage of high demand a good conservation safe from moisture and rodents. The granaries, garaiak or gareak in Basque, have quadrangular plant cover and water in two wooden slats. The set is based on pillars of stone slabs topped with circular or tornarratas, which serve to prevent the entry of rodents. In the interior, several compartments or zizku keep martxagaria or wheat sown in March, azarogari wheat or October, the most-appreciated for making bread, beans or Babak, Olo or garagarra or oats and barley. 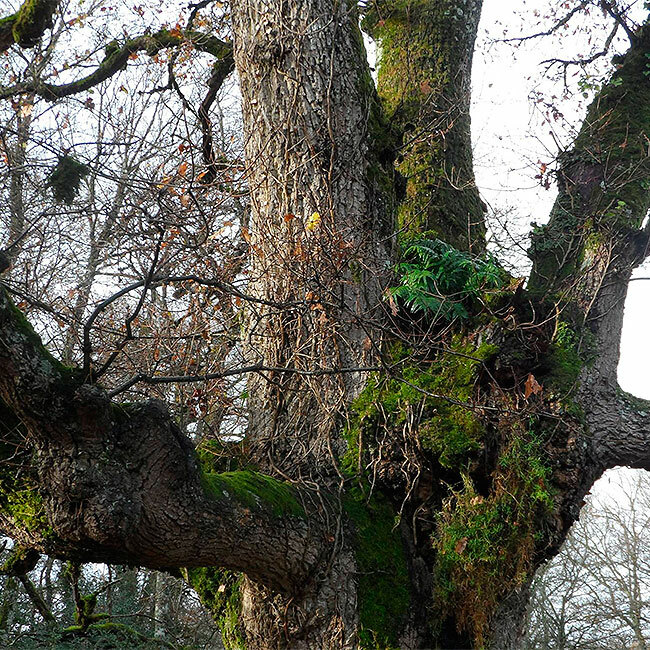 The aezkoa horreo is a special variety, "Pyrenees", according to climate and the indigenous construction. The floor of horreo aezkoano is about 4.5 m x5, is based on 8 columns, the roof is two to waters steeply sloping snow. The walls are masonry with a door and a window in any case. The current roof was wooden tablet, as in all other constructions. The separate staircase of the building and tornarratas which supports served to prevent the entry of rodents. Aria and Hiriberri count with four each, three in Orbaizeta and one in Garralda, Garaioa, Aribe and Orbara. Erro is a valley rich in dolmens, constituting the second area of Navarre according to their level of concentration. Dolmenes de ErroThe term of Aurizberri / Espinal appears as a major focus, with a set of about ten dolmens, which are kept in good condition four: Dondoro, Artzilo, Mendiaundi and Baratzeko Erreka. Another important area is to Ardaitz, with four other sets megalithic: Ezkiregi, Oiarzabal, Ardaitz and Garbala. Finally, one can not cite Sorogain, another area of great importance megalithic. The funerary stelae are creations of folk art that identify the graves of each house. They consist of one foot and a trapezoidal upper disc decorated many times for front, back and even singing. The Valley has been a place rich in steles, still retain many of them in some villages, as in Orondritz. In Aurizberri / Espinal have been recovered and catalogued 25, dating from the seventeenth and eighteenth centuries, and now make up a veritable outdoor museum. Erro complements its rich river with a good number of medieval bridges, an important artistic value. Significantly the beautiful medieval bridge Orondritz, along with the remains of an old mill, and those of Urniza and Larraingoa, too medieval, and one two eyes respectively. A fourth bridge, in the vicinity of this Ardaitz, saves the Erro in foz of Txintxurrimear.